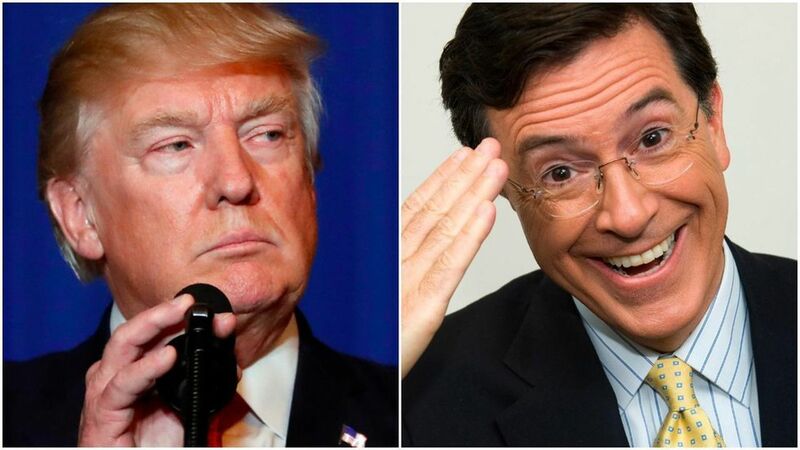 Trump to TIME: "You see a no-talent guy like Colbert. There's nothing funny about what he says. And what he says is filthy. And you have kids watching. And it only builds up my base. It only helps me, people like him. The guy was dying. By the way they were going to take him off television, then he started attacking me and he started doing better. But his show was dying. I've done his show…But when I did his show, which by the way was very highly rated. It was high — highest rating. The highest rating he's ever had." Stephen Colbert on last night's show: "The President of the United States has personally come after me and my show. And there's only one thing to say: He-he-he-he! Yaaaay! Yaaaay!" Audience applauds, chants: "Ste-phen! Ste-phen!" "Mr. Trump, there's a lot you don't understand. But I never thought one of those things would be show business. Don't you know? I've been trying for a year to get you to say my name...I won!"